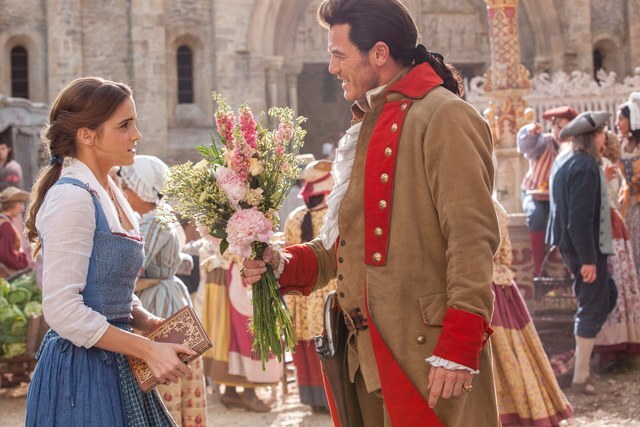 Beauty And The Beast is definitely making history, already being among the top 10 highest grossing movies of all time. This is, at least in part due to the beautiful settings created. This tale as old as time that re-built the settings from the 1991 Disney classic animation and made everything a little more modern pays great tribute to the classic, with interior decors that are simply stunning. So much great work was done on the movie. The Villeneuve provincial town was built outside of London’s Shepperton Studios, being quite massive, inspired by Conques (France), with a final measurement of close to 29,000 square feet. Belle’s father’s workshop was special because although it was really small, there are so many details added, making this part of the project really tough. Clocks were inspired by Johann Melchior Dinglinger’s work. 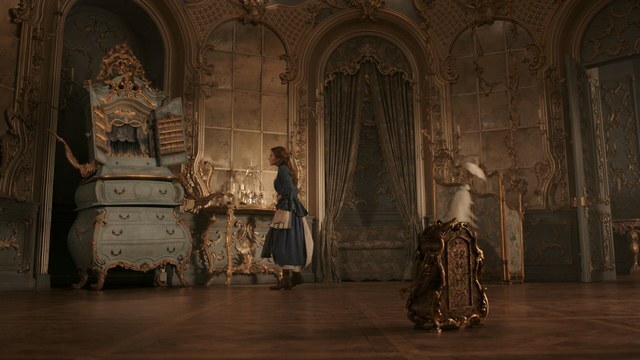 The Beast’s castle is mainly French rococo, with the east wing being particularly important with Belle’s bedroom and the majestic ballroom. All is exuberant and organic. Talking about the ballroom, everything was built around the waltz scene that all people know about Beauty And The Beast. The artwork that you see on the floor in the ballroom image below is built around a Czech Republic ceiling motif found in a Benedictine abbey. 12,000 faux marble square feet were used, with the chandeliers obviously being inspired by what we see in Versailles. Greenwood decided to have the Portugal Biblioteca Joanina (Coimbra) as an inspiration for the library. 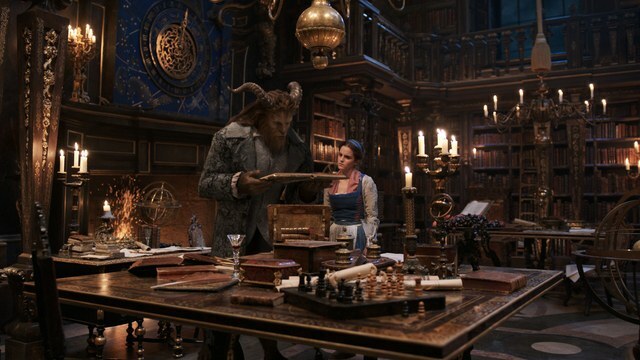 Thousands of custom-made books were created for this movie. Then, the castle’s west wing is mainly Italian Baroque in style, all feeling more dangerous and darker. 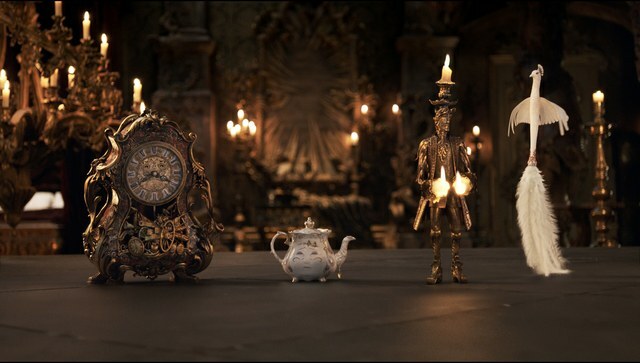 As you can see, there is so much more about Beauty And The Beast that we can look at. If you love architecture and interior design, this is a move that you will simply want to see. If you did see it, we are sure you loved it. These sets are simply incredible. Take a look at some of the images from the movie but do see it since this is what supports future such productions that we, as interior design enthusiasts, will love.